There are common chemicals in your household that can be used to chemically treat water for safe drinking. Although they may be distasteful to your palate, it beats the dangers of bacteria and other microscopic organisms. Relatively Clear Water – Use 4 drops of iodine per quart of water or 16 drops per gallon. Add 3 or 4 crystals per liter of water (or until the water stains a light pink) and leave for 30 minutes. When there is no body of water to be found, you might be able to collect water droplets from foliage. 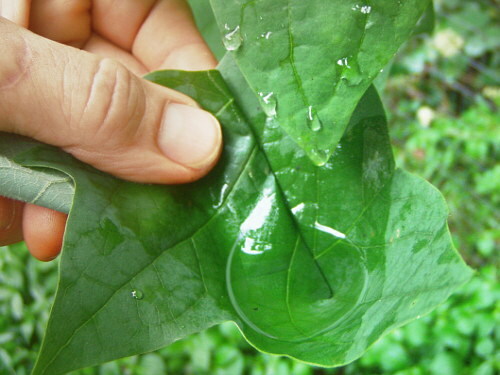 You can tilt the leaves into your mouth and tap gently to loosen the droplets – or – you can obsorb the droplets into a cloth which in turn can be wrung out directly into your mouth – or – you can fashion a cup to hold water using a broad leaf such as found on a deciduous tree. Basically, a leaf can be pinched on one side and then folded off to the back side. This single fold creates a cone shaped reservoir that holds the water. A big enough leaf might enable additional folds to create an even lipped rim or even a handle. 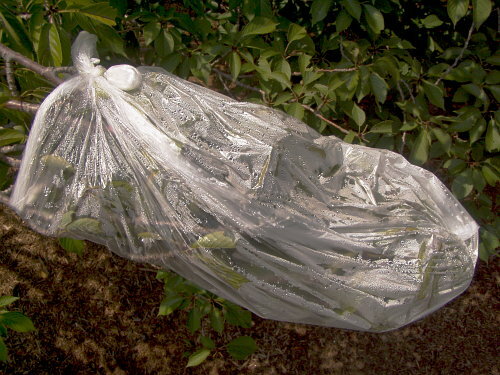 This method of collecting water in emergency situations is by placing a large plastic bag around the end of a leafy branch. The sun causes the leafs to transpire or “sweat”, thus releasing moisture that condenses inside the bag and can be collected at the bottom to drink. For more details, check out my blog on Transpiration -or- “Milking A Tree For Water”. Water can be made safe for drinking by pasteurization which kills germs and disease-carrying organisms. To achieve this, heat the water to at least 150 degrees F. (65 degrees C.) and keep it at that temperature or above for at least 30 minutes. This can be accomplished using solar cooking which requires no fuel or flames. Heat is collected from the sun’s rays and enhanced by reflection, magnification, insulation, and absorption. There are many solar products being developed in today’s market and can be found on-line from various sources. Alternately, you can use items that can be found in the trash. 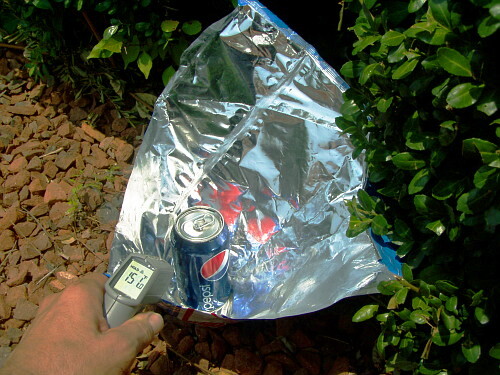 I used a silverized bag from a snack food and an empty soda can. First, I cut open the bag and formed a reflective bowl, and then, in the center, I placed a dark, heat absorptive soda can in which to heat water. 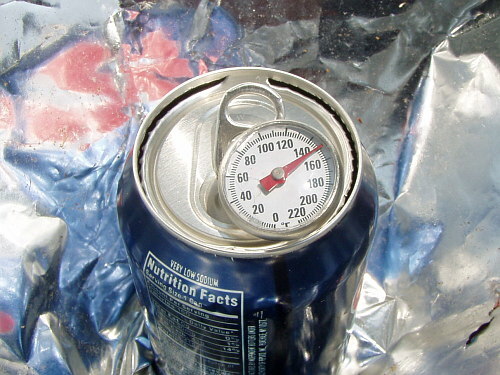 This set-up reached a temperature over 150 degrees F. in about an hour. Remember to keep reflectors focused while the sun changes position, and if possible, insulate the setup from wind or other cooling effects. 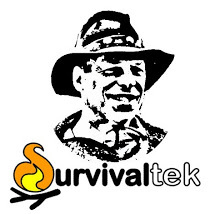 Try Solar pastuerization using the SODIS technique…place up to 2 liters of water in a clear 2 liter plastic bottle and place it in the sun for up to 6 hours….done. It’s useful.Sorry,I’m not good at English.But I like Surrvival.Water it’s important in our surrvival and we can’t survive without it.So,we should learn more skills about find water. One place that you can check would be on the internet. Keep this information used in the comparison of clean water at home. elements such as cholera in water. These days, it is easy and cheap to buy flexible 10+ watt solar panels. It is also cheap to buy high power ultra violet LEDs. With this and a cheap battery one can build a portable sun or battery powered UV sterilizer that is fast and kills 100% of all bacteria and microbes. A large volume of water can be treated in extreme short time using a very basic setup.